It’s all systems go for the UFC’s first ever promotion on Philippine shores, and it’s going to be an action-packed card headlined by featherweight bout between The Answer Frankie Edgar and The California Kid Urijah Faber in a five-round battle. Former champ Frankie Edgar is currently the top dog of UFC’s featherweight class, and will be coming into this match riding on a three-fight win streak. He’s hoping to notch another win in the Philippines to bring him one step closer to a title opportunity. Faber has more fights in his record, and has been ranked third in the bantamweight class. This is his debut featherweight fight, something the Octagon veteran is eager to do. It’s going to be a stacked fight card on May 16 at the SM Mall Of Asia Arena for UFC Fight Night Manila. Expect two Pinoys to rumble in the Octagon as Roldan Sangcha-an faces off against BJJ specialist Jon Delos Reyes in a flyweight match, while striking specialist Mark Eddiva has an Octagon date with Alex White. 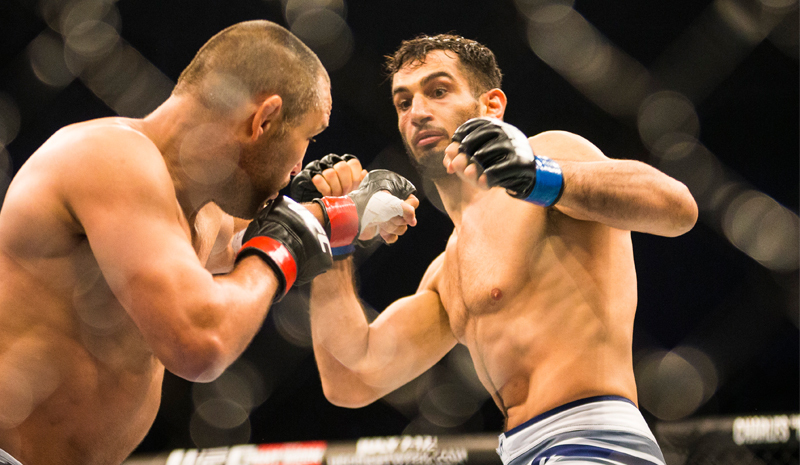 The co-main event happens between Gegard Mousasi and Costas Philippou while ‘Ultimate Fighter China’ winner Zhang Lipeng squares off against ‘Rajan’ Kajan Johnson in the lightweight bout. Tae Hyun Bang from Korea takes on ‘The Super Saiyan’ Jon Tuck for the lightweight division match. One of the welterweight fights happens between Li Jingliang from China and Roger Zapata from the US. The other fight is between ‘Ace’ Hyun Gyu Lim and Neil Magny. Yao Zhikui and Nolan Ticman are also scheduled for a match. Tickets for UFC Fight Night Manila are available at the SM Tickets website.